How can a System Ever be Viewed as Successful When Over 2 million of its Own Children Live in Homes Where They are at Risk of Harm? Political and media discussions on the cause of this heart-wrenching situation have chosen to focus on the lack of appropriate government funding for children’s services rendering them unable to effectively support and protect those children suffering in these ‘serious’ risk homes. Spending on these services have been slashed by nearly £1 billion in the past 6 years, leading charities to warn that local authorities are trying to deliver critical children’s services with “one hand tied behind their back”. 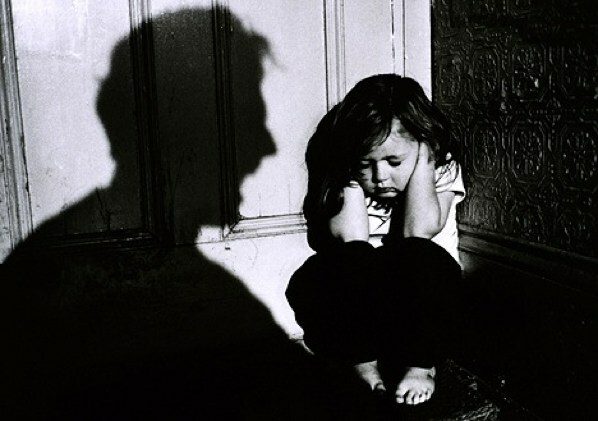 While it is true that such severe government cuts directly impact on the ability of local councils to offer help to these vulnerable children – which in itself is an indictment of the lack of concern of those who govern over the welfare of their young – this does not explain what is driving the huge scale of this human catastrophe. Focus on the economic aspect of this problem conveniently side-steps the obvious fact that the dominant values, lifestyles and laws within capitalist secular liberal states are the primary cause of this social devastation…..and this is not surprising! Because if you promote liberal freedoms which celebrate the right of individuals to live hedonistic lifestyles, pursuing pleasure over all things, under the toxic banner of ‘living life to the max’, then don’t be surprised if it generates an epidemic of alcohol and drug addiction as well as nurturing individuals who care little about the wellbeing of their own children. If you sanctify the pursuit of individualistic whims and desires and sanction under sexual freedoms the systematic degrading of women through their objectification in society, then don’t be surprised if there is a tsunami of domestic violence present in homes. And if you govern by a system where laws are legislated by the limited, weak and fickle minds of human beings then don’t be surprised if you create a mountain of intractable social, economic and political problems which tear apart the lives of individuals and children alike with no sound solution offered to save them from their misery. Surely therefore, it is time to open our eyes and realize that saving our Muslim communities and lands from this road to social disaster requires for us to reject these western values and systems and return to the sublime values, laws and system of Islam to organize our lives and govern over our families and lands. Indeed, it is the Islamic way of life alone which creates mentalities shaped by Taqwa – God-consciousness – which leads to the rejection of hedonistic lifestyles and beliefs; shapes an individual’s action based upon obedience to Allah (swt); and nurtures a great sense of accountability in one’s actions, including how one treats and raises one’s children, due to the knowledge that every deed is rewarded or punished in the Hereafter. And it is the Islamic system alone, implemented by the Khilafah (Caliphate) based upon the method of the Prophethood, where every law is from the Lord of the Worlds (swt), the One who has All-Knowledge about all human problems and affairs and hence is best suited to organize societies to achieve social harmony and protect them from oppression. This is why even non-Muslims praised the Islamic civilization of the Khilafah for its sublime nature. The renown English writer H.G. Wells for example, wrote in his book The Outline of History, “Islam has created a society more free from widespread cruelty and social oppression than any other society had ever been in the world before”. This is surely the future that as Muslims we desire for our children, our families and our communities….but it is a future that will only materialize through returning to Islam completely in our lives, and by re-establishing the System of Allah (swt), the Khilafah in our lands.